Located in Los Angeles, California, we are one of the most well-known and respected law firms when it comes to personal injury cases. We handle any case involving a vehicle, including bus and train accidents. Every year thousands of passengers on busses, trains and taxi cabs suffer harm due to the negligence of their drivers. Our law firm is dedicated to providing expert legal representation for victims who have suffered harm in motor vehicle accidents. Any individual or entity that transports passengers for a monetary gain is regarded as a common carrier. Common carriers include not only government run busses and trains but also include taxi cabs, Uber and Lyft transport vehicles, tour busses, private airlines and private trains. Under common law and California state law, common carriers are held to the highest possible standards of care on behalf of their passengers and other motorists on the road. This means that they must work diligently to abide by all safety standards and protect the life and health of passengers. In many cases busses and commuter trains are run by government entities. In the state of California government claim must initially go through an administrative review. An administrative review claim must be filed within six months from the date of the incident. At that point victims will then have six months from the date of the rejection of the administrative claim to file a lawsuit in the court of law. Spinal Cord injuries – including bulging discs. Nerve injuries – including root nerve injuries and spinal cord compression. Facial damage – from striking your head on the seat in front of where the victim was sitting. Knee damage – including torn ligament and torn meniscus. Head trauma – resulting in concussions and traumatic brain injury. Broken bones and cracked ribs. Psychological damage – PTSD and emotional distress. Victims of harm due to the negligent or intentional conduct of others are entitled to financial recovery. The potential value of a case is dependent on several factors described below. Medical documentation and medical costs for the treatment of the injuries. The amount of economic losses incurred – this can include lost income and future loss of earnings. The amount of coverage available – in California common carriers must carry commercial insurance policies usually in excess of one million dollars. Coverage for government run vehicles is unlimited. 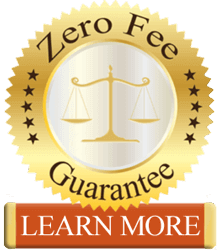 If you have any further questions feel free to contact our law offices. All consultations are free of charge.